SEO CONTROL It's easy to optimize your own on-line store for SEO! Choose Globalgraphics for the best WooCommerce web design services! When it comes to WooCommerce website design and development it's time to choose the most experienced e-commerce web design company in Birmingham. 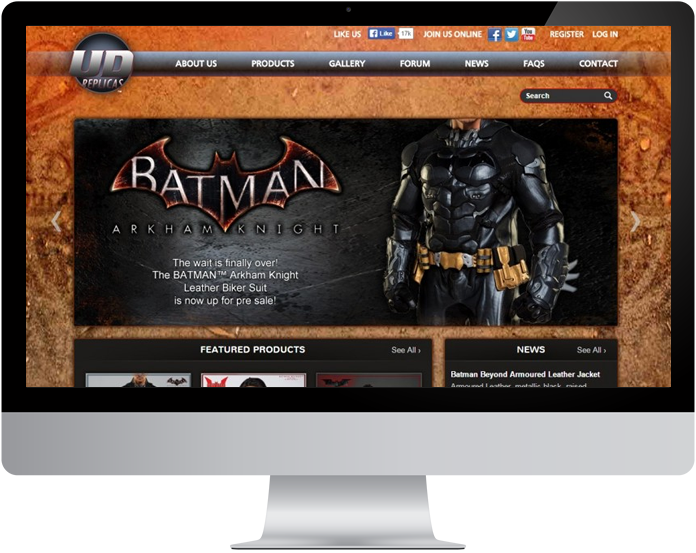 For more than 15 years our web design company has been designing and building amazing on-line stores for businesses. WooCommerce has fast a become a favourite e-commerce solution with smaller businesses and start-up companies across the globe. That's because it's affordable, feature rich and exceptionally easy to use. We think it's a superb ecommerce platform, and believe you will too! We offer a full WooCommerce custom web design service, where we will create your new on-line store with a completely unique look and feel. However, we can also work with a WooCommerce Website Theme design that you have already seen. The choice is yours! Experience that counts! Put your trust in an e-commerce website design company that has been delivering results for over 20 years. Clients that rely on us E-commerce clients of ours include JTC Omniblend, Xerox, Ladbrokes. The British Horse Society and many more! The best advice You'll receive advice from industry experts on the best way to approach your WooCommerce website. Perfection in Design & Build Our specialist team will design and build an on-line store you are delighted with! Get your website seen! We offer the full range of digital marketing services - SEO, PPC, Social Media Marketing and more! WooCommerce is the E-commerce plug-in for WordPress. But it's no ordinary plugin! Since its launch in September 2011 it now dominates a large proportion of the ecommerce solutions available and has been downloaded in excess of 1.6 million times! This solution provides customers with a feature rich and extremely user-friendly experience. It's the perfect solution for 'start up's' or companies looking to get their foot in the ecommerce market without it costing the earth. As mentioned previously we offer two solutions for the design of your WooCommerce Store - Custom Design or using a Website Theme. Which one you choose really comes down to your budget, project time frame and website specifications. Our Custom Design service will provide you with a completely exclusive store design with the exact look and feel you want. We can alternatively help you choose from the thousands of pre-designed Website Themes for your new store. Woocommerce is one of the most flexible ecommerce platforms on the market today. The software comes with a vast range of features, but we can also customise it to include many of the other plug-in features that are available. Our in-house team of WooCommerce Developers in Birmingham will tailor make the solution around you and your exact specifications. Your new on-line store will be built with all the features that you need! Once your WooCommerce website has been built we will thoroughly test it to ensure it has robust functionality and is browser compatible. We'll then provide you with training on how to manage all aspects of the WooCommerce software. Once you are ready to 'launch' we'll provide you with free hosting for 1 year and be there to support you should you need any further help. Don't forget we offer the full range of on-line marketing services to get your new website seen! Why not call us today to discuss how WooCommerce could be the perfect e-commerce solution for your new website? We're ready to take your call on 0121 667 8667, or feel free to complete the form below and we'll contact you!